Ms. Yoder graduated from the University of Akron, School of Law in May 2007. While in law school, Ms. Yoder received the CALI Award in Insurance Law and the Magistrate Karam Excellence Award. After graduation, Ms. Yoder joined a law firm in Fort Wayne, Indiana where she practiced for three years. Her practice in Indiana was primarily in the area of insurance defense. She also represented several corporate clients in connection with OSHA investigations and citations, anti-trust claims, and labor disputes. In 2011, Ms. Yoder returned to the Akron area and joined HCP where she practices in our litigation and medical malpractice groups. She represents clients in the medical industry such as doctors, hospitals, and nurses. Additionally, she has defended clients against allegations of bodily injury and wrongful death, premises liability, and defective construction. Ms. Yoder is a resident of Stark County. In her spare time, she enjoys spending time working and relaxing on the family farm, feeding the farm animals, and spending time with her family. 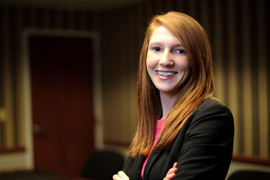 Prior to obtaining her law degree, Ms. Yoder graduated from Ashland University with a Bachelor’s Degree in Social Work. Ms. Yoder pursued this degree because she wanted to work with people and assist them with their problems. As a defense attorney, Ms. Yoder has attained this goal; she works diligently to advocate for her clients and help resolve their legal issues efficiently and effectively.